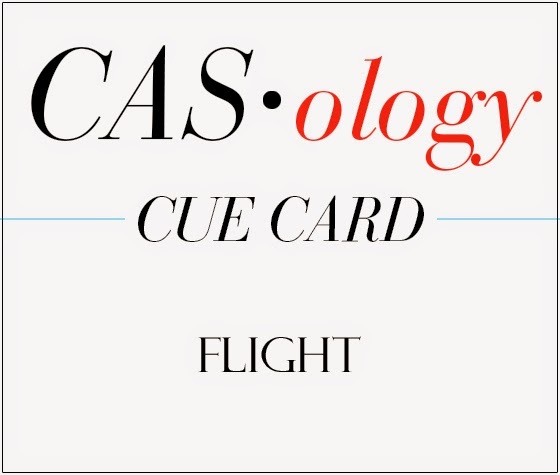 This week's CASology Cue Card is Flight! In my house, flight means only one thing. Mechanical. No birds and bees for us! My son is a glider pilot and a Flight Sergeant in the Royal Canadian Air Cadets. This summer, he's taking a 6 week course on Aircraft Maintenance at a college 2 1/2 hours north of us (through the Cadets). Most importantly, he is a nice, good kid. I could go on about how proud of him I am, but you would stop reading long before I would stop writing! He's also turning 16 in June. Flight is the perfect opportunity to make his birthday card. I cut out my elements (airplane die from MFT, inlaid into a red circle over a white circle, letters and numbers from Memory Box). Let's face it - there's a lot of elements there! How to keep it CAS? One easy way was to limit the colours I was using. In various versions as I was building this, I had some Air Cadet blue (actually, old SU! Brocade Blue) cardstock and gold mirror cardstock, but I finally decided to stick with just red and white. These are the colours of the Canadian Forces Snowbirds air demonstration squadron, one he admires greatly. I love how the graphic 'sentiment' (Happy 16th Birthday to You) looks like a code or co-ordinates. (a note about placement of the letters - I lined them up on grid paper on my desk before laying repositionable tape on top - I then lifted it up, put liquid glue on the backs of the letters and laid the whole kit'n'caboodle on the red panel. I then pressed the letters down and carefully removed the tape). 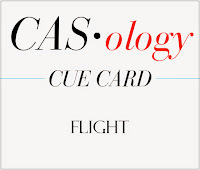 And now it's your turn to take flight! Before you go, make sure you check in with the rest of the DT for some more inspiration! Ardyth! I love this card. It's so bold and masculine. Of course I love the color red, so what's not to love?! Very nice ... perfect, in fact! Wonderful card for your son. Loved hearing the background story and the process. Fantastic bold and graphic card. Love it. No wonder you are proud of your son. He sounds like a very accomplished young man. Thanks for the tip on lining up those letters. Oh Ardyth. This is absolute perfection. Love every detail. Definitely see your love and pride in it! Fantastic! It's bold and graphic and a wonderful birthday card for your son! Your card is perfect for you son and just amazing! I love this Ardyth! Wonderful to hear about your awesome son!!! And the card is perfect for him!!! This is a great card Ardyth and maybe one of my favorite cards you have created. Great card - and I now need an aeroplane die.....Have a son in the RAF - was always obsessed with flying but a tendon damaged hand put an end to actual flying with them but he is a private pilot for his own enjoyment. Best wishes to your son on all his flying endeavours. Great tip about lining up your letters, Ardyth! This is a superb card. Your son undoubtedly loves it! Your son sounds like a very accomplished young man. You deserve to be proud!! Love the red & white, love the 'coded' sentiment, love the tip on positioning the letters (wondered aloud why I never come up with clever ideas like this???) and love how proud you are of your son!